Cancer is the number one cause of death for children from six months to young adulthood. This year alone, 110 families in Alberta will hear this diagnosis and be thrust into the frightening world of childhood cancer. The Kids Cancer Care Foundation of Alberta (KCC) is passionately dedicated to helping young people and their families affected by childhood cancer survive and thrive in body, mind and spirit. Our programs are uniquely designed to meet the needs of the whole family in each stage of the cancer journey, from diagnosis through treatment and beyond. It is because of the generosity of organizations like Donate A Car, that enables KCC to make a difference in the lives of children affected by cancer. 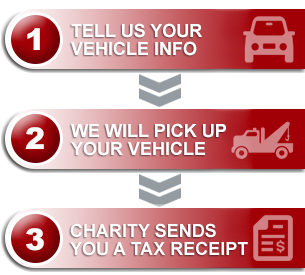 We have had the privilege to partner with Donate A Car for the past six years. During that time, Donate A Car has raised more than $42,000 for the Foundation. It has been an absolute pleasure teaming up with Donate A Car and receiving important funds through an alternative way of giving. We are extremely fortunate to be selected as one of their charities and are grateful for their continued support and generosity! Donate A Car cares about Kids Cancer Care and is a part of a community of organizations and people committed to ending childhood cancer. Because of their support, Kids Cancer Care is able to ignite joy in the hearts of children at camp; inspire health care professional to become their best; empower cancer survivors to live their dreams; and make life-saving research possible. We are incredibly thankful for Donate A Car and the amazing work they do in our community.